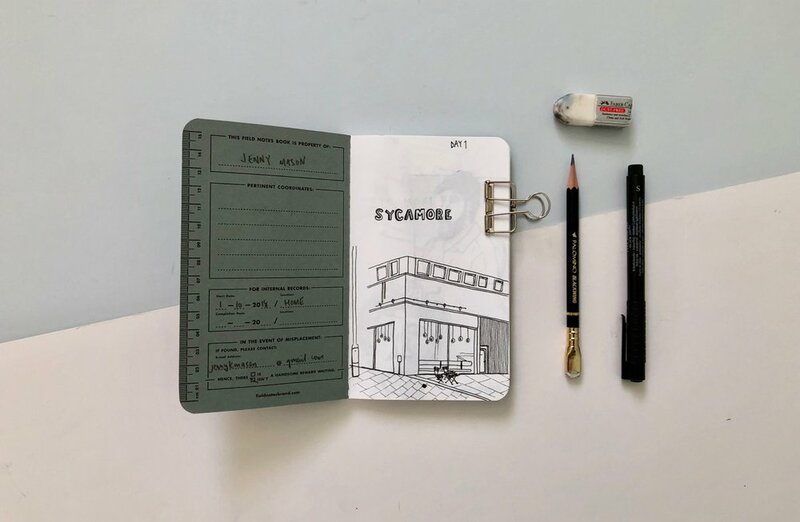 The Sketchbook Project is a library resource that digitally archives peoples artwork created within a custom notebook. Browsing through the site there are lots of varying examples of sketches, typography, photographs and doodles. If you buy the right 'plan' your notebook gets uploaded onto The Sketchbook Projects digital archive and people, like me, can scan through your pages. As it stands they have over 17,000 sketchbooks included in the archives, so the resource is huge. I am always so envious of people who can draw and create beautiful artwork. The ability to transfer images from your mind onto paper leaves me in a kind of dazed confusion. I am not sure I would ever be able to do that, although I am aware practice is the key. In the mean time I could spend hours looking at people's creations. So if you have some time, take a look at the Sketchbook Project. Some notebooks I have enjoyed scanning through are the view from up here, can you hear her? and passport to now and then. I will be visiting New York in September and may take a trip to Brooklyn to visit the library itself, so if you have been I would be interested in hearing your thoughts.